Lip Augmentation at The Banwell Clinic in East Grinstead. Posted 9th April 2018 & filed under Uncategorised. Have you ever considered lip augmentation? There has been a surge in lip refinement recently….you may want a soft natural enhancement or perhaps a gorgeous fuller pout! Over time, volume, definition and hydration are lost. Lips can appear thin and deflated but lip enhancement is not just for the aging lip. Well proportioned younger lips can also benefit, becoming plumper, more defined and simply enhance what you already have! We know and understand the best products available which give safe predictable treatments. Using Hyaluronic Acid (‘water loving’ hydrophilic molecules) can improve asymmetry, rebalance features, lift the drooping corners and improve your resting facial expression…. no more looking sad! Do your research and choose your practitioner carefully as imperfect results can be very obvious! Education, training and experience are vital as is artistic flair. 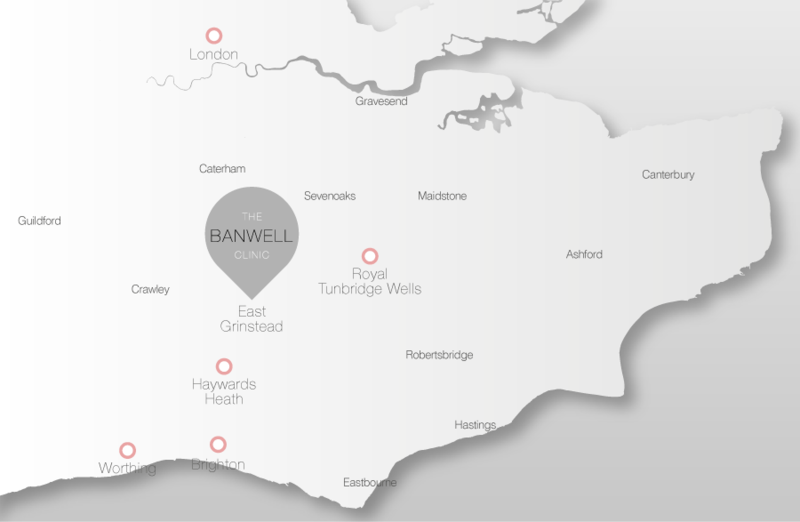 Treatments should not be trivialised at The Banwell Clinic we listen carefully to our patients to understand your needs. We will work closely with you so that you choose your individual treatment, fully understand the procedure and possible complications. So if you want to wear your dreamy lip colour with confidence or go ‘naked’ come and have a chat with us….we know you’ll love your new look!